The release of Avengers: Endgame is less than a month away and while fans are excited, they are understandably cautious too. The end of Avengers: Infinity War was traumatic with Thanos wiping out half of all life in the universe, including many of our favourite heroes (and about 3.9 billion non-superheroes on Earth). We don’t know what lies ahead then for the heroes in Avengers: Endgame, but in the latest trailer they all said they will do ‘whatever it takes’ to defeat Thanos. 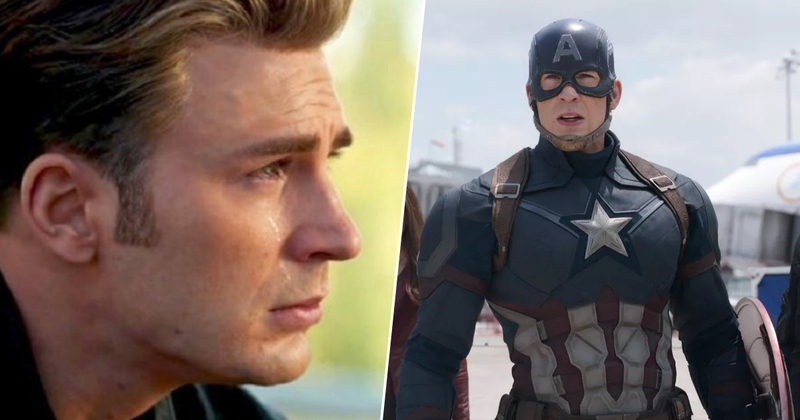 Marvel Studios are remaining tight-lipped on what fans can expect from the hotly anticipated sequel, but in a recent interview with The Hollywood Reporter, Captain America himself, Chris Evans, indicated it will be emotional. Uh, it’s — I mean — it’s a good one. It’s a real good one. I saw, like, the first hour of it. This one’s really good. I choked up like three times. If that was Evans’ reaction to only the first hour of Avengers: Endgame, I am seriously worried about how I will cope with the whole three hours. The Hollywood Reporter cheekily asked Evans if Captain America, aka Steve Rogers, would die in the film, a rumour which has been circulating the past few months. After I die by Tony’s hand, I just said, You know what? I can’t watch this. It’s hard. Seeing my own death. It’s going to be a long movie, that’s for sure. The first edit clocked in over three hours. My funeral’s like an hour. Although Evans is playing around here, it wouldn’t surprise me if him and some of the other original Avengers die, including Robert Downey Jr.’s Tony Stark, aka Iron Man. The friendship between Evans and Downey Jr. has grown over the past decade working together on the Marvel Cinematic Universe (MCU). At the root of it, he has true humility. I think it’s the reason he was able to kind of come to the front and be our team leader in the Avengers. I’ve been in hundreds of scenes with this guy. Nobody laughs more than him. Sometimes he makes me self-conscious, like, ‘Should I be more fun?’ There’s a little bit of, like, just trying to shake out the anxiety. And I’ve also seen him, over the last 10 years, go from being someone who had laughably real social anxiety to someone who has grown more and more comfortable in their own skin. If Evans leaves the MCU after Avengers: Endgame, it really won’t be the same.